The Emirates Cricket Board (ECB) announced the 13 UAE national players who have been awarded new two-year central contracts. Skipper Rohan Mustafa is among the cricketers to have been handed a deal while Ashfaq Ahmed and Amir Hayat, who made their debuts in December have also been rewarded for their consistent performances. It is the second time that the ECB announced their roster. In July 2016, the ECB named their first-ever central contracted players, marking the beginning of a new chapter in cricket in the country becoming professional. With the players now training daily five days a week, the UAE have had success on the field. They retained their ODI status until 2022 while also beating a Test nation for the first time when they defeated Zimbabwe in the World Cup Qualifier. 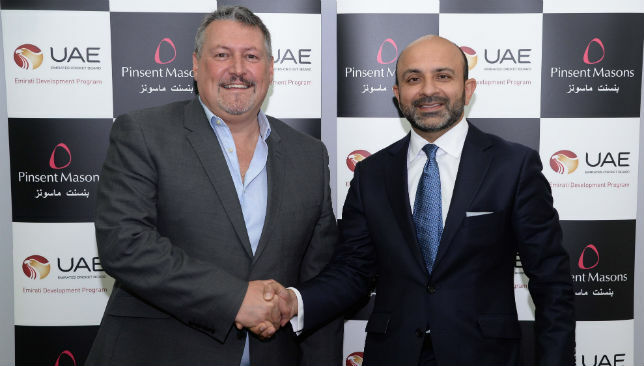 Very pleased to confirm #UAE #Cricket's Central Contracts Player-Roster through to 2020. The governing body confirmed that any contract renewals will be based on performance. Chief executive David East will leave the Emirates Cricket Board at the end of December. East has been with the ECB for six years after arriving in 2012 having held the same role with Essex. The former wicketkeeper-batsman has played an instrumental role for the governing body by introducing professional contracts for its full time players, and establishing a strategic partnership for high performance with the ICC Academy in Dubai. The 61-year-old also played a key part in attracting and delivering major events to the UAE such as the Under-19 World Cup, World Cup Qualifiers, IPL, T10 Cricket League, and working closely with the PCB whilst hosting its cricket in the UAE. “I should like to thank our chairman, His Excellency Sheikh Nahayan Mabarak Al Nahayan for giving me the opportunity to lead Emirates Cricket over the last six years,” said East. “I have thoroughly enjoyed my time here and believe that I have made a meaningful impact with the national team and the development of cricket in the country. 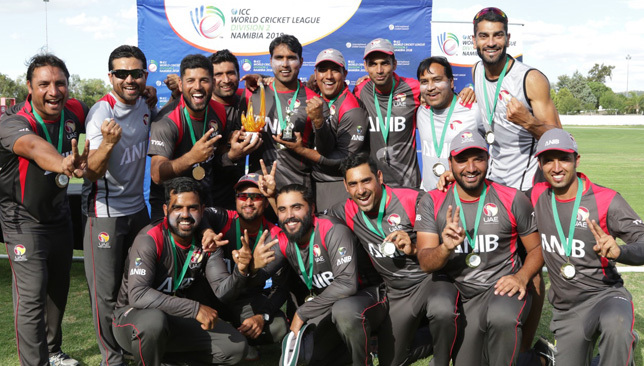 The UAE has its highest ever ranking in the top 14 countries in the world for T20 and ODI cricket, and having won the ICC Global Development Award earlier this year, our rapidly growing development programme will continue to increase participation and help produce the next generation of UAE cricketers. 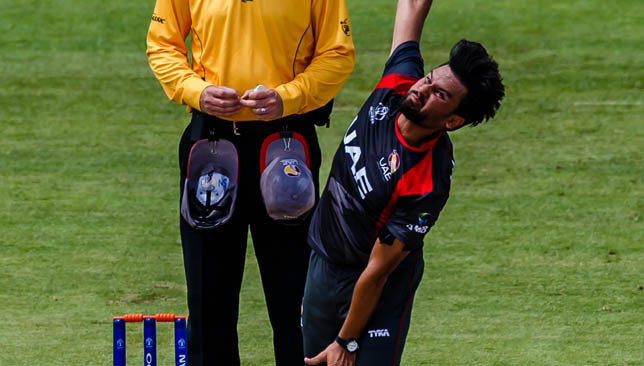 UAE spinner Imran Haider says he will cherish the wicket of Glenn Maxwell for a long time after ranking the Australian as the most high-profile scalp he’s taken in his international career. Haider, 30, removed Maxwell for just 18 when the batsman was caught by Ahmed Raza in Monday’s first-ever official T20 international against the Baggy Green in Abu Dhabi. Although the tourists went on to win by seven wickets, Haider was pleased to add to his tally with another elite cricketer’s scalp. Earlier this year, he dismissed Chris Gayle in the World Cup Qualifier while three years ago, against England at the Sheikh Zayed Stadium, he took the wickets of Moeen Ali and Sam Billings in an unofficial match. But he insists stopping Maxwell, one of T20’s most celebrated batsmen who has four fifties and two centuries to his name, sits top of his list. 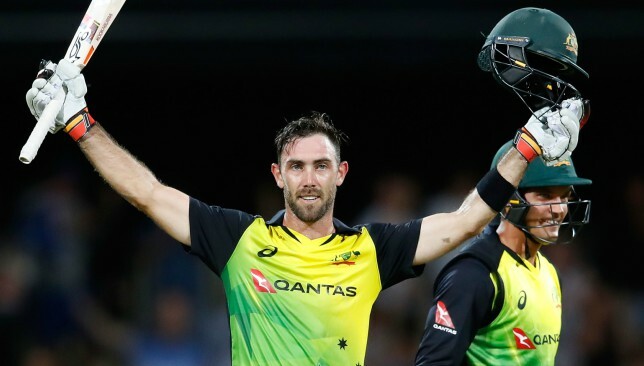 “In international cricket, Glenn Maxwell is one of the big names in the world, especially in T20 cricket, so it was great to get him out,” said Haider. “He is a fantastic batsman who has played so much cricket around the world. We put him under pressure and bowled strongly against him. He wasn’t able to play his shots that he would usually. Before the match we were all targeting him so it was great that it was me who stopped his innings. The two nations were meant to play in a warm-up match, with the Australians using the fixture as vital match practice ahead of their three-match T20I series against Pakistan, beginning on Wednesday. But last week, with the support of the Pakistan Cricket Board, the ICC sanctioned the match as an international T20. With Pakistan playing their ‘home’ matches in the UAE, Haider hopes this match will be just the start for more internationals against Test nations in Dubai and Abu Dhabi. “We must thank everyone who has helped put this game together and make it an international T20,” added Haider. “It is a big deal for us. If there are more games like these it wouldn’t just be beneficial to myself but for the whole of the UAE team. It would boost our confidence and help improve our game going forward.